This contains 2 scripts named "corrosionaggro" and "corrosionconstantaggro". "corrosionaggro" can be attached to a zone and will force all ai within 3000 in game distance units (can easily be changed) to automatically seek and attack the player. 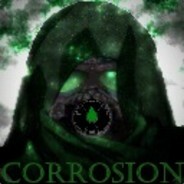 "corrosionconstantaggro" can be attached to any entity (set always active to yes, static to no) or zone and will force all ai within 10000 in game distance units (can easily be changed) to automatically seek and attack the player. These scripts can be used but are not limited for chase scenes, battle scenes where stealth isn't an option, and many more! Depends on what ones you mean. It'll work with zombies and such, but this doesn't affect special enemies like from the classics folder unless you heavily modify them and add some dependencies like I did. Is it good for non-human characters too, like monsters? As far as I see. The first script which you have to attach to a zone work quite well. But the second one, corrosionconstantaggro, when I tried to attached it to the babarian entity ( I replaced the old fantasycharacter.lua script. What do I do now in order to make it to work? Ah i see, can't say i've ever had that issue, but if others do, and your script fixes it, then good work. Thanks for clarifying for me. I may also be posting up my customized ai combat core script at some point which adds continued path finding and checks to see when the player was last detected for a stealth system as well as a encounter system to always make the ai react in a realistic way. Coupled with these scripts, the ai is actually very impressive. If I do say so myself. Not really belidos... The ai isn't very aggressive and they do not have continued aggression that this helps with. When entering the zone for the first script, it forces all ai to know where the player is so they can go attack them without needing to see the player directly. The other one makes it so they always know where the player is. That is not included by default. Sorry, but all default AI combat scripts are aggressive by default, and if you want them to chase you from the start you just set their view cone to 180 in properties, and increase their view range. I still don't see how this is any different to the default scripts, do you have a video showing it in action? how to attach script to AI ? Read the description again carefully. This forces ai using the standard ai scripts to act aggressive without necessary needing the player to do anything first. I'm not exactly sure what these scripts are meant to do, from what i understand of the explanation, they can both be achieved without a script, by changing a couple of properties in the properties menu of the entity. Is there more to this than you have explained?